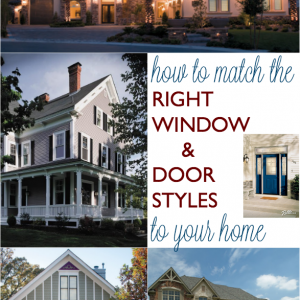 A few weeks ago, I shared with you 7 Ways to Identify When to Replace Windows & Doors. If you missed the post, be sure to check it out and learn what to look for. With winter right around the corner, now is a great time to be thinking about the maintenance, condition, and appearance of your windows and doors. We all know that new windows and doors are an investment, and you might be wondering if the cost is really worth it. Aren’t there sexier ways to spend your home improvement money? But did you know that replacing your windows and doors can yield some of the highest returns on your real estate dollar, improve the cost efficiency of your home, and create a fast and affordable home makeover? Let’s explore 5 benefits of window and door replacement! I know I should probably start with the practical benefits of window and door replacement, but I’m more of a “dessert first” kind of girl. Compared to the price of many home renovation options, updating your windows and doors is an affordable way to transform both the exterior and interior of your home in one fell swoop. 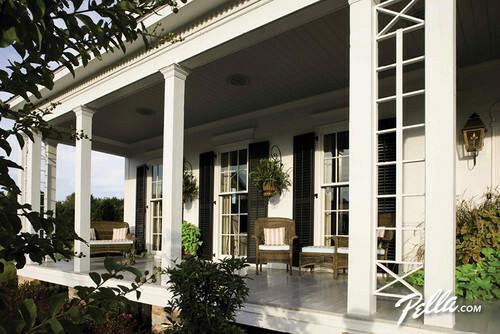 The myriads of choices available by Pella® for customizing the appearance of your windows and doors is inspiring. All of the different finishes, grilles, hardware, trim, and glass options give you the tools necessary to create the home of your dreams. 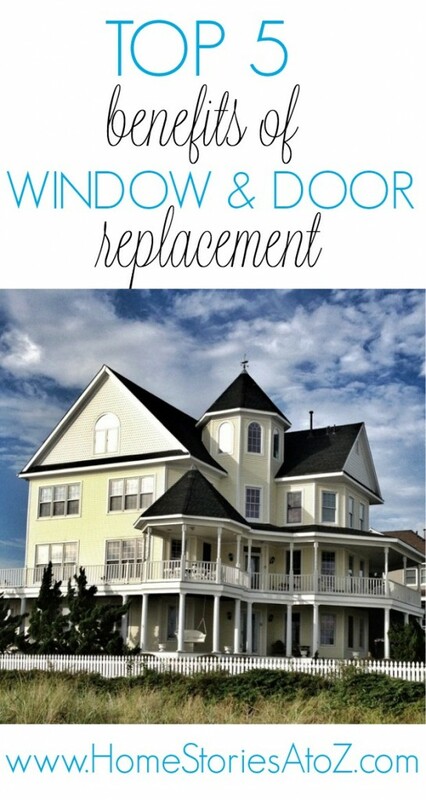 And as an added bonus, window and door replacement boosts your home’s resale value! 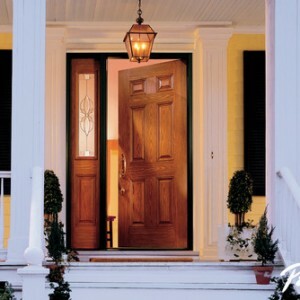 Home improvement research shows that efficient windows and doors consistently rank at the top of the list for having the highest long-term ROI for homeowners. Replacing your windows and doors is one of the wisest and most cost effective home improvements you can make. Well-insulated windows properly protect your home from the elements and keep your home more comfortable all year long. Energy efficient windows insulate your home for the winter, decrease air conditioning use in the summer, and eliminate overall uneven heating and cooling throughout your home. According to industry experts, new windows can help you save between 7-15% on energy costs each year and reduce your thermal footprint. 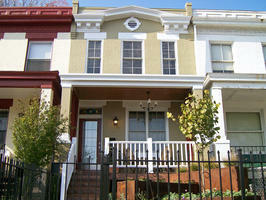 New windows and doors will give you more money in your pocket, a more comfortable home environment, and a cleaner earth! Correctly installed, high quality windows and doors will reduce outside noise and increase your home’s privacy. I live in the city in a “twin” rowhouse and have found that well-insulated windows in an urban setting are a non-negotiable must! Guests in our home often remark on how unexpectedly quiet it is inside our home. Although our neighbors are a literal stone’s throw in every direction, our closed windows and doors properly screen out noise pollution. When we were in the process of flipping our home, I really wanted to keep a window in our master bedroom closet. However, I was concerned about the sunlight fading my clothing over time.Pella® offers several different types of glass options capable of blocking most of the sun’s harmful ultaviolet rays. You can find a glass option to suite the climate you live in as well as your personal needs. Increasing the amount of light your home receives, taking advantage of your view, and controlling your home’s privacy are fundamental functions of your windows and doors. 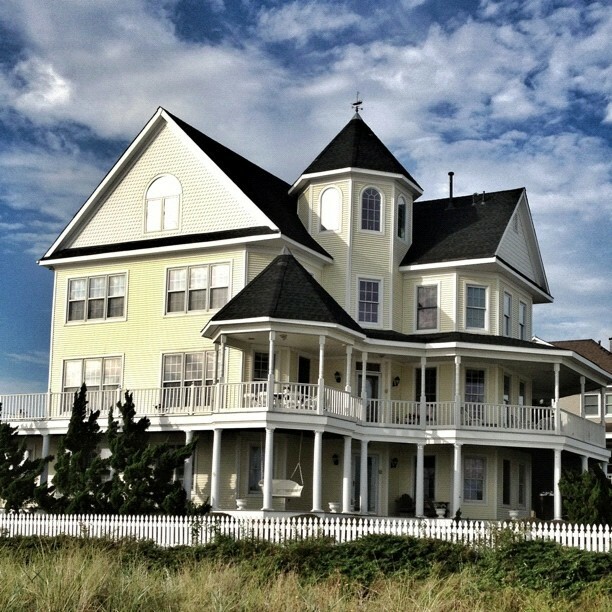 My mom lives in a breathtaking Victorian home on the water and due to years of tropical storm damage she recently needed to replace several windows on the front of her home. My mom turned to Pella® for her custom window needs and decided to increase her light and view by choosing a fixed window from their Architect Series. Her view was beautiful before, but the new windows create a view that is truly outstanding! The picture of her home (above) was actually taken before the new windows were installed. It’s hard to believe looking at the picture that it could get any better, but it can! I’ll be sharing more in an upcoming post on my mom’s window makeover with the full before and after pictures, so stay tuned. 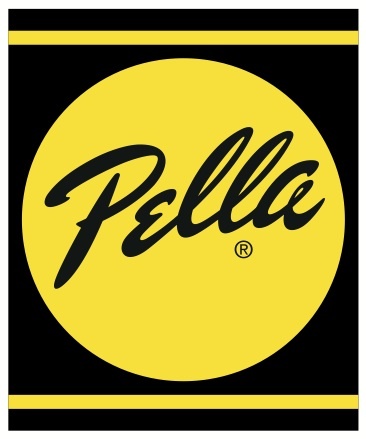 If you are thinking about updating your windows or doors, feel free to visit Pella® and take advantage of their support center. They are available to answer any questions you might have. I didn’t realize that energy efficient windows and doors consistently have the highest long-term ROI for homeowners. I’ve actually been looking at getting a new front entry door, so this is good to know. I’ll definitely feel a lot more confident about getting my current one replaced since it will hold its value well if I ever decide to sell. Thank you so much for mentioning that quality doors will actually aid in your home’s privacy since it will provide a sound barrier. 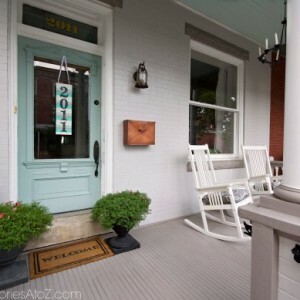 My husband and I are thinking about installing an aluminum door at the front of our house. It’s good to know if we hire a great service to help with installation, it could help reduce any outside noises we are hearing. My wife and I have been thinking about replacing the windows in our new home but aren’t sure if it’s worth it right now or not. I like that you mention how some glass offers protection from the sun to reduce fading. We don’t want the fabric on our furniture to get ruined over time so we might have to look into this more. Thanks for sharing! I like how you said that replacement doors and windows that are correctly installed will help reduce noise from outside. We just moved into a new house not too long ago and live kind of close to a really busy road. I didn’t really notice the noise at first but it really is kind of getting on my nerves. We’re going to remodel our living room and kitchen though so we’ll have to replace the windows and the doors to make sure that it keeps the sound out better. You wrote that when you get your windows replaced, you will experience a reduction in noise. I have been thinking about getting new windows, as my current windows are quite old. I live next to a busy street, and sometimes cars passing in the night can wake me up. I’ll have to find a window replacement service, so that I can get my home nice and quiet so I can sleep well. I really like how the article mentions you can lower your energy bills by replacing windows. My wife and I are always looking for ways to reduce energy costs, so it’s good to know window replacement is a viable option. The windows in our home are pretty old too, so I’d suspect the savings we could get would be substantial. Are there certain glass or window types that would be more energy efficient than others? I’d be curious to know. My wife has been wanting to change the windows in our home for a long time. Every time we walk by a window, we can feel the heat or cold coming in through the seems. I didn’t realize that not only do new windows block air better, they also can prevent the fading of clothes or carpet by blocking UV rays from penetrating the glass. That’s an added benefit I’ll have to take into consideration. Windows can certainly improve the visual appearance of your house, we redid ours as we were looking for a modern home improvement by upgrading our current windows and frames. Thanks for the read. My brother recently moved into an older home and has been looking for different ways to give it new life. You mentioned that your mother had new windows put in to increase the light and improve the view. I think if my brother’s home had more natural light, it would really improve the overall aesthetic. I’ll have to recommend he find a good window replacement service. I really like how you pointed out that replacing your windows will help reduce noise from the outside noise. The windows in my house are really old and I live near a busy street. Replacing the windows would help me sleep better at night since I wouldn’t be able to listen to the cars drive by at night. I like how you mentioned that replacing your windows can help to lower your energy bills. Where I live it gets really hot during the summer, so I’m always looking for ways to save money on my cooling bills. Now that I know how much I could save by just replacing my windows, I’m going to put it on my to-do list for the summer! Is there a particular brand of windows that you would recommend I buy to help keep my home cool? Thank you for posting! What really attracted my attention is the #2 part where you talk about the energy efficiency. It should be #1. People care about looks more than efficiency, and that is not how it should be. As mentioned above, well insulated windows can save you money and keep your home heated with no cold air coming in from your windows corners which will make your air conditioner work more and waste more energy doing so just to reheat the cold air coming in. People should really think about this more seriously. Thanks for sharing such wonderful article! Windows go about as the most crucial element. Windows give sufficient ventilation to the house and giving it that tasteful look that draws in potential home purchasers. Consideration on the decision of glass shape and shading ought to serenely suit the presence of your home. Thanks for the information on the benefits of window replacement. I’ve been getting really high energy bills this year and think it’s because of our old, drafty windows. If I really can save 15% on my energy costs, like you mentioned, replacement windows would definitely be worth it! Reduced noise is a great benefit when replacing windows. Your comment about increasing the privacy of your home was great. I have thought about how great it would be to not hear the cars rushing by or kids screaming, but I hadn’t thought about how it would contribute to my privacy. Now thinking about it, it totally would. Thanks for sharing your tips. I just bought my first house, and needs a bit of a fix up. I’ve been thinking about getting new windows, but haven’t been sure if I really should. After reading your article, especially your point about new windows lowering the energy bill by keeping the house more insulated, I know I definitely need to replace mine.